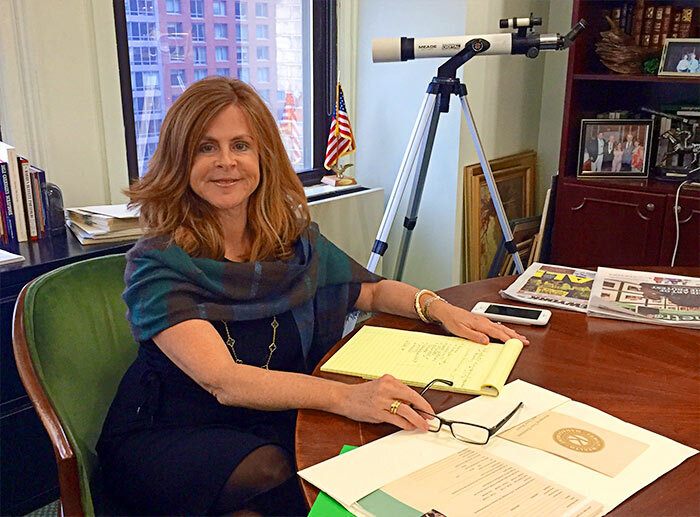 Colleen Kelleher Sorrentino launched the asset management business for Wall Street Access in 1995 and currently helps individuals, families, foundations, and corporations build diversified, multi-asset-class portfolios for their liquid assets. In addition to working with clients to design appropriate portfolios, Ms. Sorrentino provides a wide range of services related to retirement and estate planning, personal and family financial planning and cash management, college planning, alternative investments, insurance and annuities, real estate and mortgage planning, and risk management. Ms. Sorrentino has a diverse client base in the New York area and beyond, including first responders, small-business owners, and senior corporate executives. In her work with nonprofit organizations and affluent clients, she has developed extensive knowledge of the financial attitudes, needs, and wants of the high-net-worth segment. We are pleased to present her insights here. Proactive Advisor Magazine: Colleen, what motivated you to build a career path in the financial-services industry? My family has been in the financial business since my father emigrated from Ireland to New York City over 50 years ago. He started as a messenger for Merrill Lynch in the 1950s, attended St. John’s University at night, and eventually went on to several prominent positions in the business. I grew up around the industry, so it was a natural progression that when I graduated from college I entered into the family business. I currently oversee the wealth management division of Wall Street Access, and my brother, Sean Kelleher, oversees the broker-dealer side. My father, Denis Kelleher, remains active as chairman and founder of the company, and he has helped to assemble an excellent management team. Talk about your high-net-worth clients. What are they like? I work with about 120 clients currently, and a good portion of those are high-net-worth individuals or families. We are a full-service wealth management firm, and our services include asset management, providing advantageous ways to structure a mortgage, and planning for education costs. For the more affluent clients, estate planning and how to mitigate tax issues is a major thrust. Most of our affluent clients have high-level corporate jobs, are entrepreneurs, or are in professional services such as law or medicine—but they really run the gamut of professions and backgrounds. We do see some clients who have inherited their wealth, but entrepreneurship is definitely the area that defines many of our clients and is the source of their wealth. Since we are based in New York City, we tend to have more entrepreneurs from the financial field than the technology area, but the lines of distinction can be somewhat blurred there. How do affluent clients view the priorities of planning for their financial future? The high-net-worth individual understands that he or she was fortunate to have been in a position to earn a large sum of money. Their first priority is wealth preservation. They do not feel the need to grow their assets as much as someone who has a much smaller net worth and who is more concerned with building assets for retirement. The affluent client would like to see a healthy and competitive rate of return without exposure to too much risk. Not losing money is at the top of their priority list, both as a practical concern and also a psychological one. They have invested tremendous effort and time in building their businesses and their wealth, and to “give it back” in any way is upsetting on a personal level. Most clients, high-net-worth or not, become far more concerned with the gyrations of the market when volatility starts appearing. If the market falls hard, everyone’s tolerance for risk just diminishes. We saw that in 2008 when many individuals had too much money allocated to equities. They never perceived this as a problem when the market was rising, but when the financial crisis hit, many people could not tolerate that volatility. As wealth managers, we need to be the advocates for risk management, even when clients do not feel it is a current issue with their investments. It is a conversation we need to have with clients in good times and bad. It is very important to our firm to get to know each client extremely well on an individual basis and I think we are skilled in that area. We want to fully understand a client’s tolerance for volatility, how they view risk, and what will they be satisfied with on a risk-adjusted return basis. How do you approach risk management overall and specifically for the investment portfolios of affluent clients? We view risk management for high-net-worth clients in a holistic sense, not just pertaining to their investments. Our firm helps these clients prepare for life’s uncertainties and especially the worst-case scenarios that could dramatically affect their lives. We do so through the structuring of their overall financial plan, appropriate insurance coverages, and several other strategies. What happens in the case of disability or death? What will they do if their business suffers a setback or they lose their job? Are they prepared to handle unforeseen major medical expenses for themselves or a family member? We can help clients to prepare for these types of contingencies. When most people think about risk in an investing sense, they are usually referring to volatility risk. We approach it in the sense that we want clients to be very diversified at all times and we manage portfolios against a drawdown or risk level that is specific to a client’s comfort level and objectives. We also want to make sure that we have some allocation to cash on hand. There will be tactical opportunities in the market, and if you don’t have cash, you may not be able to take advantage of those opportunities. In terms of specific portfolio allocations, that depends entirely on the needs of a specific client, but we will use virtually all asset classes, both tactically and strategically. Bonds can play their role for both short-term and long-term objectives and can be used both tactically and strategically. We tend to favor large-cap dividend-paying equities with strong fundamentals on the equity side, with an allocation also usually for small-caps for their growth potential. Over the long term, small-cap value stocks have had one of the best equity track records. I cannot emphasize enough that the key element in how we approach an investment plan is to carefully think through the upfront portfolio allocations for a client. We want to make sure that they are well-diversified when markets are going down and have some flexibility through tactical elements and allocation to cash within the portfolio. We think this approach allows our clients to mitigate risk and avoid the worst of overall market corrections or crashes. We also can use a wide range of what might be called alternative investments for high-net-worth clients. This includes the use of hedge funds and limited partnerships where the minimums are higher for an individual client. We have recently been using real estate limited partnerships, as well as master limited partnerships, which are typically energy pipelines. We also think there is a role for gold-based investments in portfolios, which could take different forms. Gold is usually less correlated to bonds and stocks and can play an important role in market downturns. It is also a particularly good diversifier in periods when inflation is increasing. What other areas are especially important for high-net-worth clients? One other issue that definitely is at the top of the high-net-worth client’s priorities is their estate planning. We do not know if the policies of the new administration will dramatically change tax policy or not, so for now we need to deal with the current tax environment. Estate taxes for wealthy individuals in New York—those with over $12 million in assets—are extremely high. Strategies and planning need to be discussed with this type of client to minimize that tax and that would include solutions such as life insurance, gifting, and, for some individuals, even a change of permanent residence. This can be a complex area and we make sure to bring the right resources to bear on estate planning. We also coordinate with other trusted advisors where appropriate. High-net-worth individuals typically have two to three other financial advisors, and I think that’s a very smart move. I liken that to the concept of not having all your eggs in one basket, but not having so many eggs that you can’t personally manage the relationships. I think that the Bernard Madoff situation and some other unfortunate examples for wealthy clients have truly demonstrated the risks of having one individual exert too much control over an individual’s finances. The publicity in the aftermath of the Madoff story has made people more aware that they should not have just one advisor. But it is not just an issue of the custody of assets. It is wise to have more than one advisor because smart people can think very differently and bring different strategic perspectives to both planning and investments. We do not feel threatened by sharing a client with other advisors, and we encourage this. Other areas that concern high-net-worth clients are how their children are dealing with financial issues, the strategies for the transfer of wealth, and their concern with developing a charitable giving plan that is smart from both a family and tax perspective. Regarding children, there is the estate planning piece of the equation, but there is also a financial behavior issue. How are their children handling their spending, budgeting, and financial planning? Are they being responsible with their money? We often will include older children in planning discussions with their parents and this is a helpful practice. We want them to understand not only how they might inherit wealth in the future, but the responsibilities that go with that in terms of stewardship of their finances. There may be certain strategies to help facilitate the wealth transfer while minimizing tax exposure. It is a good idea for children to understand why a particular strategy is being used, such as a grant or annuity trust. A charitable giving plan is also very important to many affluent clients. There are several strategies available there, from family foundations to donor funds to the outright giving of gifts. We need to work with clients to understand their personal charitable objectives over the long term and help them structure the most tax-efficient way to achieve those objectives. What is your basic compensation framework in working with high-net-worth clients? We are independent financial advisors, so there is no incentive or obligation for us to recommend a particular financial product or service. Clients appreciate the unbiased nature of our advice and guidance, and that has formed the basis for our firm’s success. Our firm is a registered investment advisor, and we charge an advisory fee based on assets under management. This is charged quarterly, and I think our fees are very reasonable compared to our competitors. Our clients recognize that we have to get paid and that we are not aggressive in our fee structure. We do not charge for any other advice or the financial and investment planning process. As a boutique wealth management firm, we strive to deliver an extremely high level of service and expert guidance to clients. Our senior managers have all been in the financial industry for many years. Trust is a key factor with clients. We think our background and experience in helping clients achieve continuation and preservation of wealth is highly valued by the high-net-worth individuals we work with. 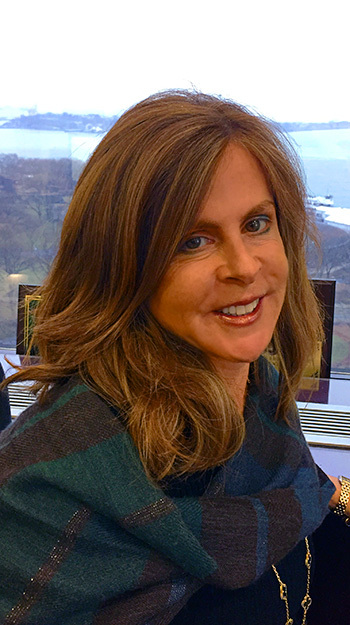 Colleen Kelleher Sorrentino, CFA, is a wealth manager and managing director at Wall Street Access, based in New York City. Wall Street Access operates a diverse set of financial-services businesses, from execution services to fixed income and securities research to wealth management. Ms. Sorrentino graduated from the University of Rochester and earned an MBA in finance from the Stern School of Business at New York University. She was awarded the Chartered Financial Analyst (CFA) designation in 2000. In 2008, Ms. Sorrentino was selected as one of the “50 Most Influential Women” by The Irish Voice magazine. Additionally, she was recognized with “The Wealth Manager of the Year” award in 2011 by Manhattan Magazine. Disclosure: The opinions expressed in this article are for informational and educational purposes only and do not necessarily represent the opinions of Proactive Advisor Magazine or Wall Street Access. Information should not be construed as an investment recommendation. Wall Street Access is a member of NYSE, FINRA, and SIPC.